Since time immemorial, nomadic pastoralist communities from the Somali region of Ethiopia have relied on rainfall to feed their livestock. They used to move their herds to find water and fresh pasture depending on the time of year. So, periods of drought are not new to them. Pastoralists can cope well with dry conditions even though they know they will lose some livestock during drought, as they normally recover in the years to follow. However, the situation has changed. 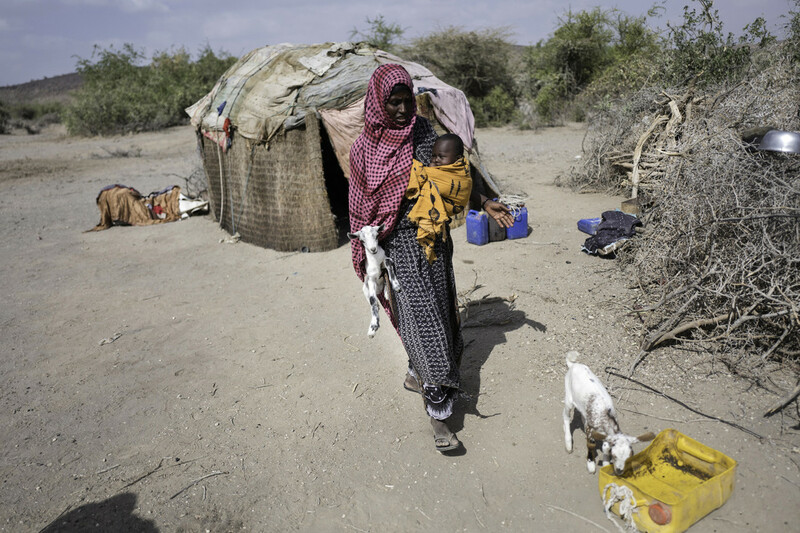 Two successive years of higher temperatures and little or no rain have left pastoralists families facing chronic water shortage and unable to cope with more seasonal climate shocks. The consequences are dramatic: loss of livelihoods, displacement, food insecurity, malnutrition and increased risk of conflict. While the recent rains brought relief for some drought-affected communities, others haven’t benefited or have faced tropical storms, which caused heavy rainfall and, therefore, floods in some lowlands. 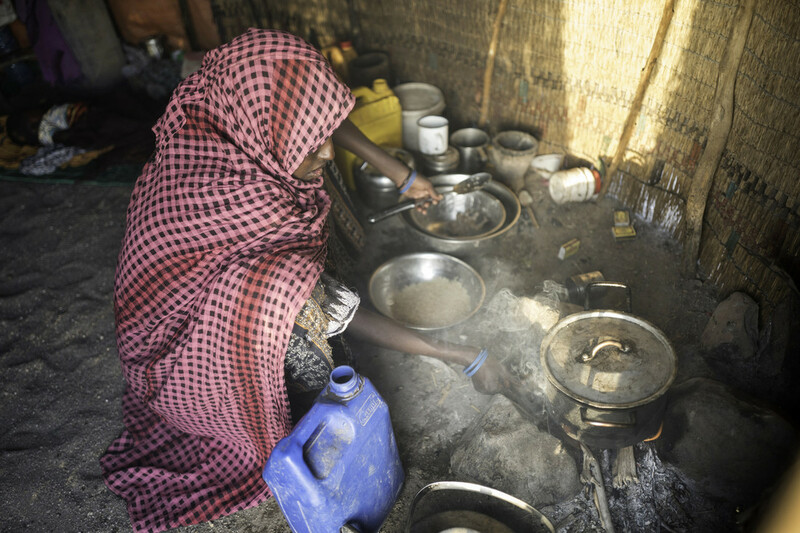 Mako and her husband Mahamud, pastoralist farmers from the Somali region, are experiencing the extreme weather in first hand. “During the rainy season, we used to have a good life because it was when we could sell our animals and we had plenty of water, but we haven’t now. The last two years have been really bad. There was no rain at all. Last year, we just had a few drops, so we lost much livestock,” says Mako. “We have a lot of health problems because we don’t eat nutritious food. We feel tired and physically exhausted. We haven’t had milk or meat for a long time”, adds Mahamud. When Mahamud is away looking for green pastures for their livestock, Mako stays at home alone with their 3-months-old daughter, as she can’t travel such long distances with a baby. She admits she fears for her and her baby’s security, as she is at risk of being assaulted by men and there are also hyenas in the bush. “We don’t know another life. If we lose all our animals we would look for another option, but we don’t know which. As I haven’t got an education, I would have to go to a town to be a servant for other people. We have never thought of farming, people here are not used to it,” says Mako. 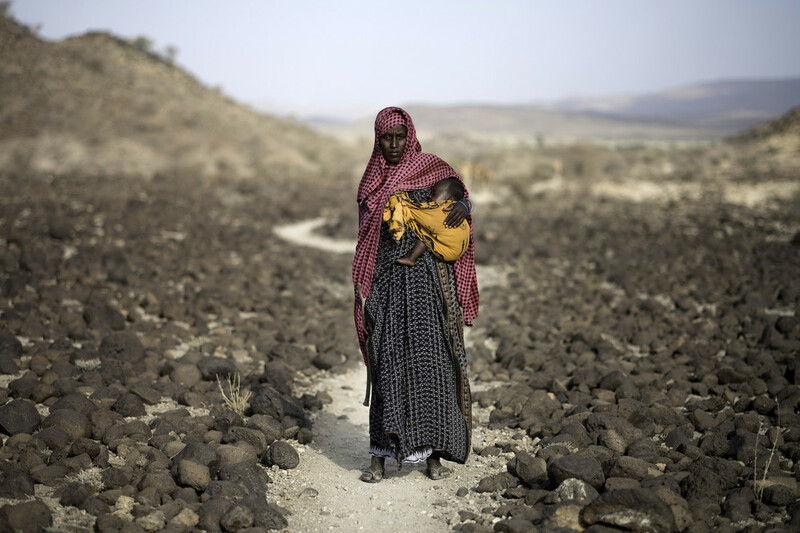 Ethiopia has long been exposed to harsh effects of extreme weather events which impact people’s lives and their ancestral livelihoods. 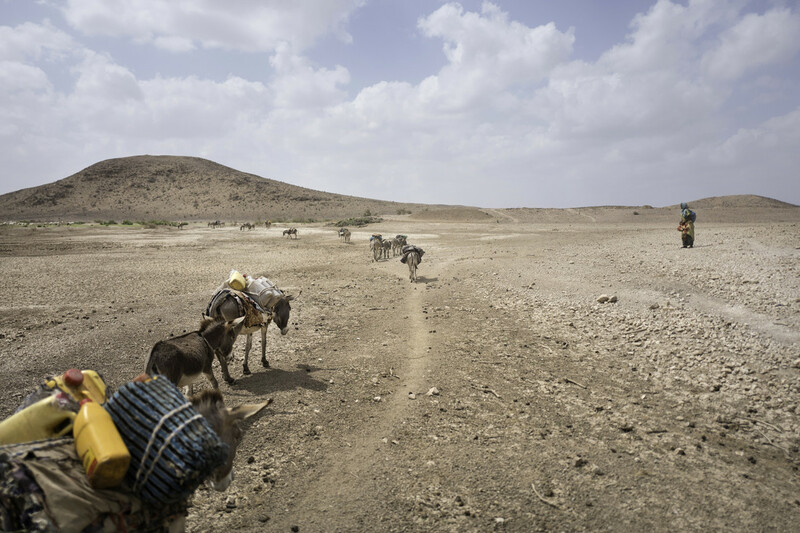 Only 15 percent of pastoralists have another source of income, so they are often forced to migrate in search of new pastures since they lack tools and skills to make an alternative income. Providing crops that are more resistant to droughts and pests and train them to get the best yields possible. Constructing water points and irrigation schemes that help produce more crops and livestock fodder. Providing tools, seeds, and training to grow animal feed. Supporting them to sell and make a profit from their production so they have an additional source of income, especially important in periods of shortage. Support our humanitarian work in Ethiopia.